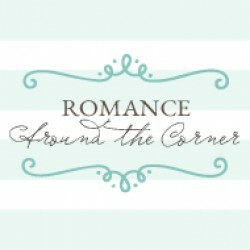 Originally posted at Romance Around the CornerSource: a review copy was provided by the publisher through NetGalley.Note: this review contains spoiler for The Sweetest Thing. As you guys know, I’m a fan of the Lucky Harbor series, even though I think the original trilogy has been the best. When I saw that this novella was about a secondary character from the original series, I couldn’t wait to read it. And for such a short story, I was pleasantly surprised.If you’re familiar with the series, or if you have read the second book*, you will know that Mia is Ford and Tara’s daughter that Tara gave up for adoption, just to be reunited when she was a teenager looking for her birth parents. In this book we get to see her get her HEA.Mia is madly in love with Nick. Now that she’s almost finishing college and thinking about starting to establish her life, she wants to share it with him. But his life wasn’t easy, and he’s not outspoken about his feelings. But Mia is confident that he’s finally going to tell her that he loves her, and feels like it’s time to meet the parents. Not her real parents, but her birth parents, Ford and Tara, which makes no sense, because as far as I know she had a great relationship with her parents, but I’ll try not to nitpick. Anyway, she’s expecting a love declaration, he gets scared, and she breaks up with him. Then he realizes his mistakes and follows her to Lucky Harbor where the actual story takes place. The rest, I’m sure you can imagine.This is probably my favorite Lucky Harbor novella, and I think I enjoyed it even more than the latest books. I’m surprised because I thought Mia was too young, and the timeline is a bit wonky, but I guess this is supposed to take place on the near future. Again, I’ll try not to nitpick.There’s a nice, compelling conflict, and even room for some angst. So it’s a short story that packs a lot of punch. Mia works as a heroine and isn’t annoying because of her age, so even that was a good decision. She just wants to be loved and chosen, because she’s insecure and feels abandoned by her birth parents. Again, it makes no sense, because adoption is the ultimate act of love and choosing, right? I mean, the fact that she didn’t even stop to think about her parents is a bit of an issue I had with the book, but again, I’ll try not to nitpick (this review has a recurrent theme). Ultimately, all I can say is that I found the novella charming and entertaining. It’s super short, so you can read it quickly, and it tells a story that fits the short length perfectly. I would only recommend it to fans of the series, or to those who have read the second book. You need the background to connect with the story, and for it to make sense. Or maybe for it to make no sense at all, as I think that the only reason why I noticed some of its flaws is because I was familiar with Mia’s story. But regardless of that, it’s my favorite Lucky Harbor novella. * Coincidentally, this is the second Lucky Harbor novella that features a secondary character from The Sweetest Thing. It's like the gift that keeps on giving.